Hyatt is my preferred hotel chain, and one of the ways I same money on my hotel stays is by utilizing discounted gift cards. These are valid for properties within Canada and the USA, and are available in electronic versions as well. Normally, I’ve purchased them at 14.5% off with AMEX Open and a discount code on the Hyatt site. A few days ago, I found that Gift Card Spread is offering electronic Hyatt Gift Cards with a 16.5% discount, which is the highest I’ve ever seen. There are only a few cards with larger denominations. I strongly prefer getting one gift card of a large denomination since that means there’s less effort in tracking the amounts on the cards, but all cards have the same 16.5% discount. While e-gift cards are only valid in Canada and the US, I’ve had luck converting them at face value to Hyatt Gift Certificates, that have acceptance at most Hyatt properties internationally. I’m not sure if they’re still doing that, however. I’ll definitely be picking up some gift cards myself after my current stockpile runs out. 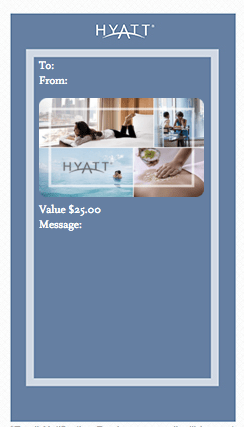 You can purchase Hyatt Gift Cards at Gift Card Spread here. hyatthotels.hyatt.com/content/partnerlandingpage/en/amex-open.html – Effective January 1, 2016, Hyatt Hotels & Resorts®, including Park Hyatt®, Andaz®, Grand Hyatt®, and Hyatt Regency® hotels, will no longer be part of the OPEN Savings program. Any amounts that are charged to your Card account by this merchant on or after this date will not be eligible for the OPEN Savings benefit. Based on internet reviews and refund policies, I wouldn’t buy from these people. I would take the 15% discount from Cardpool over 16.5% from Giftcardspread any day. Dunno, never bought from them before. I did a quick search for reviews and see lots of negative comments–phone calls, want your SSN, claims gift cards were stolen when customers used them etc. Not sure. how do you convert gift card to check certificate? 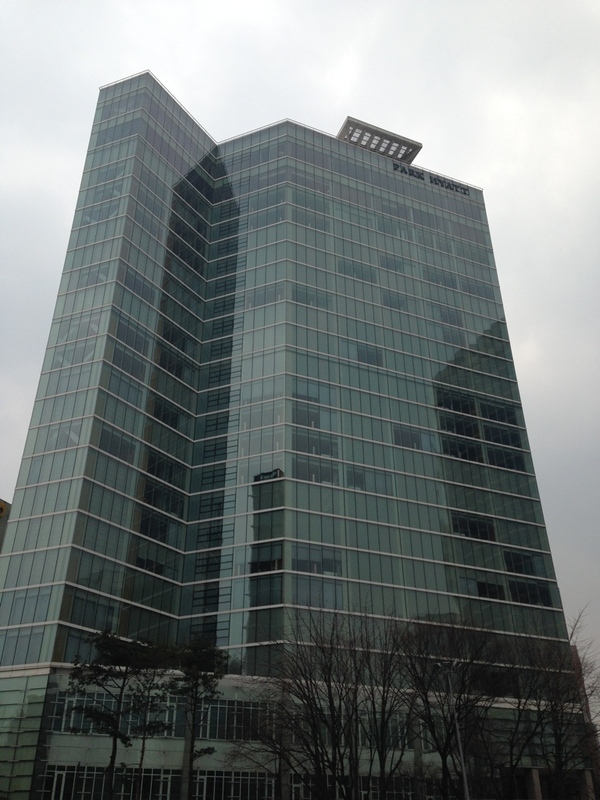 i have upcoming stays at international hyatt properties that won’t accept gc. i already have gc and would love to use up the remaining value. I was wondering, can you use these electronic gift cards on Hyatt.com prepaid rates. The prepaid rates are usually 10% or more cheaper, so what do you do in those instances? No, you cannot. I generally never book prepaid rates, though, so it’s not an issue for me. I also just had a bad experience with giftcardspread. I bought an electronic gift card just before a Hyatt stay. When I went to check out, the balance on my gift card was zero. I called, and it took a long time to reach a person. I wanted a replacement card, but he said it would take two days to investigate and issue a refund. So I charged the room to my credit card without any discount. I will say that I had bought a card from them before, and had no trouble, and I also did receive the refund. However, now, having read more reviews and had this experience, I will go elsewhere.